Amber McFarland, Cher Slater, and Ashley Patton are opening a pizzeria on Livernois in Detroit. DETROIT – The Detroit Economic Growth Corporation’s (DEGC) Motor City Match (MCM) program presented 10 new businesses, across 10 Detroit neighborhoods with cash grants totaling $500,000. The Round 13 award ceremony was held on the city’s east side at Coyote Hawk Design Center, a Round 7 cash awardee. Of the 10 new winners, half of them were black, female entrepreneurs, with businesses ranging from a pizzeria, a hair salon, a vegan cosmetic brand, a mobile detailing service, and a learning center. One of the unique businesses that received a cash grant was Toss and Sauce specialty-crafted pizzeria. Co-owned by sisters Amber McFarland and Ashley Patton and aunt Cher Slater, Toss and Sauce received a $60,000 cash grant to assist in the building of a brick-and-mortar store on the Historic Avenue of Fashion at 18613 Livernois. Slater said the location, which was formerly a party store, would not open until another 5-6 months. McFarland said the money will allow them to expedite the process. The sisters also co-own A2020Reservation. Melissa Butler is no stranger to Detroiters. She is the founder and CEO of The Lip Bar, which is a vegan and cruelty-free cosmetic company created to serve the underserved beauty community. Butler received $20,000 from Motor City Match to assist with build-out of a 300-square-foot shop that Butler said is planned for a space in the Shinola Annex, a retail corridor next to the hotel. Round 13 Motor City Match winners. Textures by Nefertiti is a holistic, all-inclusive hair spa owned by Nefertiti, and was awarded $70,000 for another location at 6525 Woodward. Order THY Steps Learning Center was given $50,000 through MCM. Sabrina Moton operates the center located not too far from the Coyote Hawk Design Center at New Rising Star Missionary Baptist Church on Mack Avenue. Alicia Trotter is the owner of The Vehicle Services Group, which is a mobile vehicle steam detailing service. She received a $20,000 cash grant. The DEGC and MCM initiatives support diversity and inclusion during the selection process, which is why 84 percent of the Round 13 winners are businesses owned by minorities and 76 percent are owned by women. Black female-owned businesses are the fastest growing economic force in the U.S. The rapid growth is particularly impressive and hard-won considering the challenges that black women face as entrepreneurs, including lack of startup capital, resources and loans, along with racial and gender discrimination within the largely white, male-dominated sectors of financing and technology. 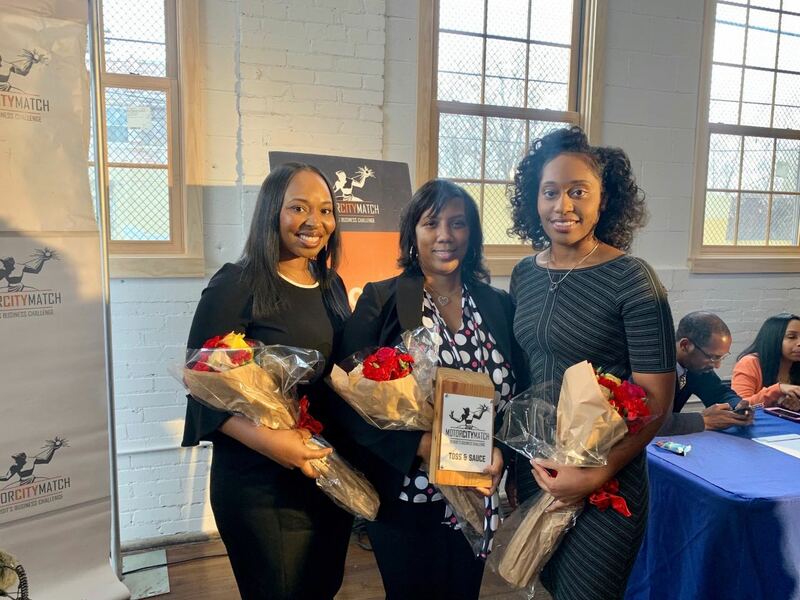 In spite of considerable hurdles, black women entrepreneurs, including the Motor City Match winners, have made formidable gains and are inspiring future entrepreneurs. The Lip Bar owner and CEO Melissa Butler received a $20,000 cash grant from Motor City Match. As MCM closes out its third year since launching in 2015, the program has succeeded in aiding more than 1,200 entrepreneurs through 13 rounds. Through its pipeline of resources and sponsors, MCM has awarded $6.5M in cash grants to 149 entrepreneurs on their journey from “idea to open.” Combined with its other small business programming, DEGC is creating a sustainable small business environment that nurtures new concepts and ideas. Other business owners have received a variety of other critical services, including finance workshops, design, technical and business planning assistance, and business/building matchmaking. MCM awards are presented four times a year in four categories: matching cash grant, assistance with business planning, design or location selection. Applications are available quarterly. Round 15 applications will be open November 30-January 4, 2018.